Add luxury to your bathroom with the Sand Shell Beach Shower Curtain. This beach shower curtain is accented with delightful tan and white shells, coral and sea grass on pale blue for true beach style. Ships from the manufacturer. Allow 1 to 2 weeks. Cannot express ship. 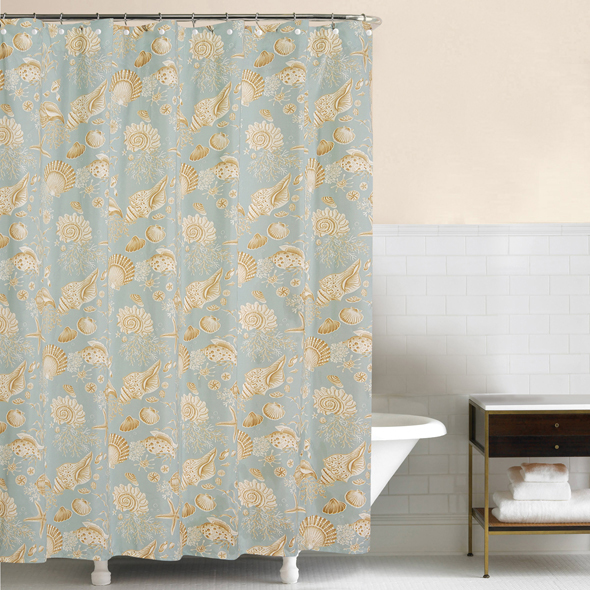 For even more items, we encourage you to spend some time to shop our thorough array of beach shower curtains at Bella Coastal Decor now.